Alright, not going to lie, I'm going to keep this short cuz I need to get some sleep. Kyle Drabek was very impressive tonight in his first start since June 12 of last year. 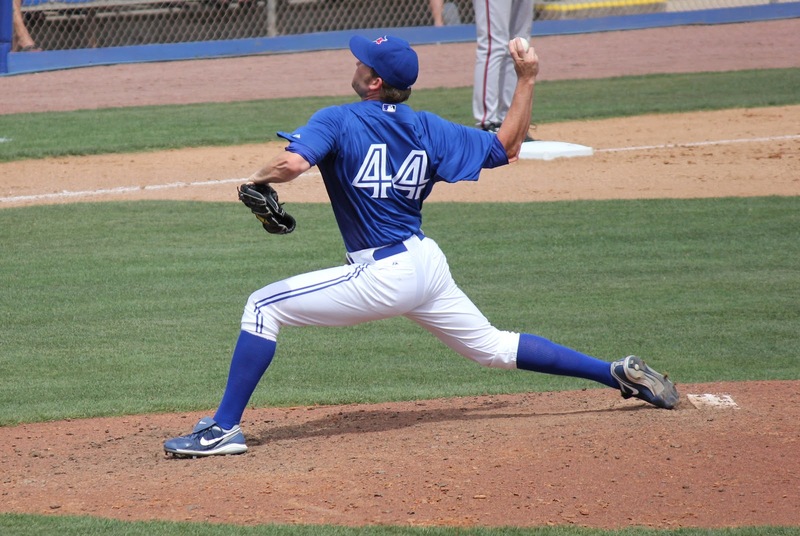 Drabek pitched five and a third, holding the Sox to one run on three hits while striking out four. He did walk three batters, but over all he looked very good. I really hope that this is a sign of things to come for Drabek. On the other side, Daniel Bard threw five innings and was charged with five runs on eight hits while striking out six and walking only one. Frasor and Perez followed Drabek with a scoreless inning and a third each before Casey Janssen came on in the ninth with a 7-1 lead and allowed two runs, but closed it out for the 7-3 victory. Then It was smiles and high fives all around from the Jays as they congratulated one another and headed for the club house. Escobar, Lind and Lawrie each contributed with two hits a piece. Brett Lawrie attempted to run through a wall while trying to catch a foul ball as it went into the stands. The wall won. He did almost catch the ball though. Jose Bautista released some of the frustration he's been feeling at the plate when he got to throw a ball at, and hit Dustin Pedoia. Ok, so maybe his intent wasn't to nail him. The throw from right field was online for third base though and he probably would have gotten the out had the ball not caught Pedroia on his way to the bag. Tomorrow it's the battle of the lefty aces as Rickey Romero and Jon Lester take the ball for game three at 12:30 eastern. Sure would be nice to take a series win from Boston this early in the season. To quote Jake Taylor: "Okay Ricky, lets get nasty!"